When will be Conor Pope's Consumer 999 next episode air date? Is Conor Pope's Consumer 999 renewed or cancelled? Where to countdown Conor Pope's Consumer 999 air dates? Is Conor Pope's Consumer 999 worth watching? Conor Pope's Consumer 999 is an investigative consumer format presented by Conor Pope, Ireland's leading Consumer Journalist. Conor will use all of his expertise and experience to confront companies who are misleading, mistreating and defrauding their customers, in an effort to bring positive closure to distressing consumer ordeals. Alongside these investigations, Conor will also use these stories as an opportunity to offer viewers valuable consumer tips, useful insights into consumer rights and practical advice on suggested courses of action for a range of challenging consumer issues. Conor Pope's Consumer 999 is a brand new investigative consumer format presented by Conor Pope, Ireland's leading Consumer Journalist. Conor will use all of his expertise and experience to confront companies who are misleading, mistreating and defrauding their customers, in an effort to bring positive closure to distressing consumer ordeals. Alongside these investigations, Conor will also use these stories as an opportunity to offer viewers valuable consumer tips, useful insights into consumer rights and practical advice on suggested courses of action for a range of challenging consumer issues. 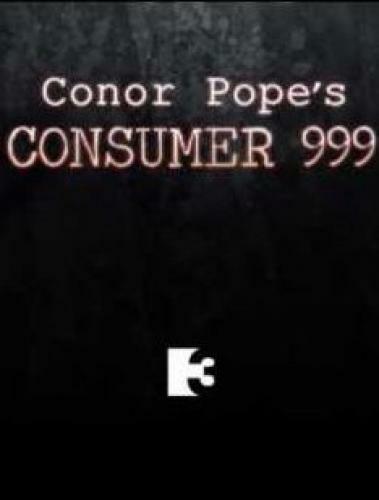 Conor Pope's Consumer 999 next episode air date provides TVMaze for you. EpisoDate.com is your TV show guide to Countdown Conor Pope's Consumer 999 Episode Air Dates and to stay in touch with Conor Pope's Consumer 999 next episode Air Date and your others favorite TV Shows. Add the shows you like to a "Watchlist" and let the site take it from there.